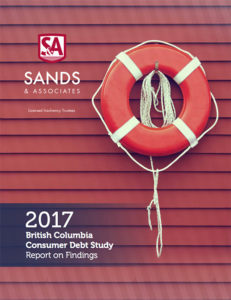 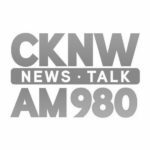 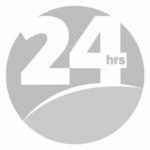 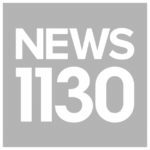 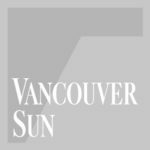 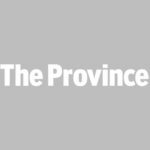 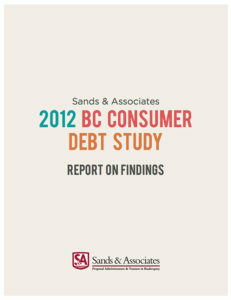 On this page you will find information about BC Consumer Debt Studies conducted by Sands & Associates, BC’s largest firm of Licensed Insolvency Trustees. Thanks to the findings from our BC Consumer Debt Studies, we have gained important insight into how BC residents not only manage their debt, but also how debt impacts their daily lives. 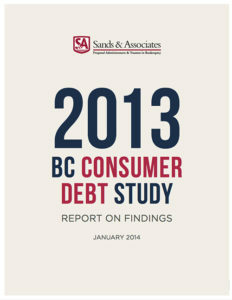 As award-winning leaders in debt management, we have helped thousands of individuals achieve a financial fresh start. 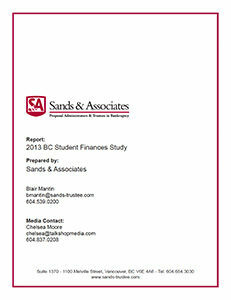 Our clients represent all cultures, occupations, ages and income levels. 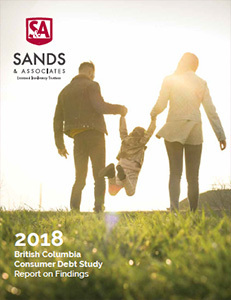 We pride ourselves on understanding the unique financial situation of each of our clients, and strive to continue to deliver outstanding service and support. 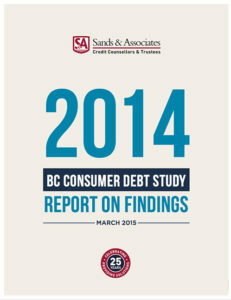 Each debt study provides an in-depth look at consumer debt levels and the reported causes of financial difficulties, with a special additional area of focus each year.